Four million pets go missing each year. Like an Amber Alert system, PiP sends out a photo to local shelters, vets, and other pet owners, and even better, knows if someone finds a match. There are already several ways of identifying your pets. But tags, tattoos, and microchips all have their drawbacks, according to Philip Rooyakkers, an entrepreneur from Vancouver. Tags fall off. Tattoos get rubbed off. Microchips move around an animal’s body, making detection difficult. Rooyakkers’s alternative is like something out of the movie Minority Report: a facial recognition system, called PiP, that minutely records, classifies, and categorizes every feature of a dog’s or cat’s appearance. To use PiP on your unsuspecting pet, you download the app, take a picture, and enter some basic details. 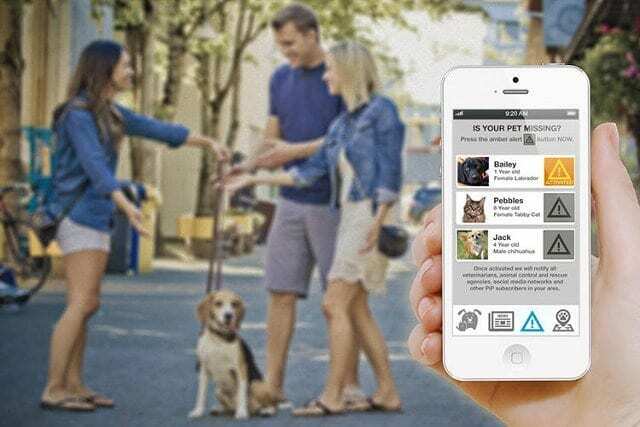 If Fido ever goes missing, you can send out an alert to vet clinics, animal shelters, municipal control agents, and fellow PiP subscribers within a 15-mile radius. If someone finds an animal, they can upload the picture, initiating a matching process. If you think missing pets a trifling matter, consider this: Up to 4 million domestic animals go missing every year, according to the American Humane Society. And only a very small proportion–2% in the case of cats–ever make it home again. That means the animals are either ending up in rescue centers, or, more likely, kill shelters. Rooyakkers, who owns a big animal care facility in Vancouver, reckons about half of all animals are euthanized every year. April 18, 2019 - Serve Adds Facial Recognition Go By Truck NewsA technology company, Serve, has introduced a new facial recognition system into its logistics operating platform. April 15, 2019 - How Safe Is China's Facial Recognition System For Payments? Analytics India MagazineChina has taken another leap in the emerging tech sector by starting the use of facial recognition for its payment systems at a local subway operator. March 28, 2019 - Huge leaps in AI have made facial recognition smarter than your brain CNETThere are privacy concerns, but facial recognition now can help get your doctor visit, and your vacation, started. March 31, 2019 - Facial Recognition Systems are Booming – and so Should Our Concerns The Globe PostThe rightful chorus of concern about facial recognition systems and privacy has erupted, but there is more to be worried about. March 20, 2019 - Future Tense Newsletter: This government facial recognition system may be using your photo. Slate MagazineThe government's controversial facial recognition system, the eeriest parts of the Theranos doc, DNA database privacy, and more. April 11, 2019 - Japanese medical school adopts facial recognition-based attendance system The Japan TimesThe Hyogo College of Medicine has introduced a facial recognition technology-based system to check student attendance. It is the first university in Japan. March 30, 2019 - US intelligence wants to use you to train facial-recognition systems QuartzThe US government research unit serving intelligence agencies wants to compile a massive video dataset using cameras trained on thousands of pedestrians. April 15, 2019 - 'Automated Racism': Chinese Police Are Reportedly Using AI to Identify Minority Faces GizmodoFacial recognition technology can target entire populations of a specific demographic, and in the wrong hands, can be used as a powerful tool for discrimination. March 27, 2019 - The Business of Your Face FortuneWhile you weren't looking, tech companies helped themselves to your photos to power a facial recognition boom. Here's how. April 8, 2019 - Beijing wants to use facial recognition to blacklist unruly tourists AbacusIn this week's news on China's widespread face recognition tech, Chinese authorities have found a new target in need of constant surveillance: Unruly tourists. March 27, 2019 - Why facial recognition's racial bias problem is so hard to crack CNETJimmy Gomez is a California Democrat, a Harvard graduate and one of the few Hispanic lawmakers serving in the US House of Representatives. April 17, 2019 - Subaru Outback revamped for 2020, with facial recognition, revealed at New York Auto Show USA TODAYSubaru's redesigned 2020 Outback comes with in-car infrared camera and facial recognition technology to identify signs of driver fatigue. April 11, 2019 - What you need to know about facial recognition firm SenseNets South China Morning PostVictor Gevers, co-founder of non-profit organisation GDI.Foundation, tweeted in February that a SenseNets online database was left unprotected for months. March 27, 2019 - Chinese spy tech is coming to American airports KomandoChinese surveillance technology is coming to America soon, and creepy facial recognition technology will be showing up at airports all across the U.S..
March 21, 2019 - In the Face of Danger, We’re Turning to Surveillance WIREDFrom the Rose Bowl to upstate New York, people are turning to surveillance systems in the face America's inability to meaningfully address gun violence. April 16, 2019 - Facial Recognition Surveillance Targets Uighur Minority in China | The Takeaway WNYC StudiosChinese authorities keeping track of the Uighur minority group using sophisticated artificial intelligence with facial recognition capabilities across the country. April 17, 2019 - Biometric payments introduced at Hong Kong airport duty free stores Biometric UpdateDragonfly POS devices with facial recognition have been launched to Duty Zero stores in Hong Kong Airport to enable Chinese tourists to pay with biometrics. April 17, 2019 - Why You Can No Longer Get Lost in the Crowd The New York TimesOnce, it was easy to be obscure. Technology has ended that. April 17, 2019 - Trueface facial biometrics with spoof detection integrated with Ambarella SoC for access control Biometric UpdateFacial recognition and spoof detection technology from Trueface are now available on the Ambarella S5L IP camera system-on-chip (SoC) family. April 18, 2019 - Form PX14A6G NORTHROP GRUMMAN CORP Filed by: Tri-State Coalition for Responsible Investment StreetInsider.comNotice of Exempt Solicitation. Pursuant to Rule 14a-103. Name of the Registrant: Northrop Grumman. Name of persons relying on exemption: Sisters of St.
March 26, 2019 - Camera Above the Classroom Sixth ToneChinese schools are using facial recognition on students. But should they? April 17, 2019 - “Building the smart airport:” Duty Zero by cdf introduces facial recognition payment at Hong Kong International - The Moodie Davitt Report The Moodie Davitt ReportFacial payment technology is available in 300 cities in China and comes to Hong Kong for the first time at the airport's liquor & tobacco duty free stores. April 17, 2019 - DealBook Briefing: Apple and Qualcomm Kiss and Make Up The New York TimesAfter two years of bitter patent battles across three continents, Apple and the chip maker Qualcomm have settled all of their disputes. April 17, 2019 - ‘Automated Racism’: Chinese language Police Are Reportedly Utilizing AI to Determine Minority Faces InfosurhoyFacial recognition technology can target entire populations of a specific demographic, and in the wrong hands, can be used as a powerful tool for discrimination. April 18, 2019 - The 2020 Subaru Outback Has Arrived! GearJunkieSubaru just revealed its all-new 2020 Outback, and it looks awesome. Here's what we know about the 2020 Subaru Outback. April 17, 2019 - Hillicon Valley: Washington preps for Mueller report | Barr to hold Thursday presser | Lawmakers dive into AI ethics | FCC chair moves to block China Mobile | Dem bill targets 'digital divide' | Microsoft denies request for facial recognition tech | TheHill The HillWelcome to Hillicon Valley, The Hill's newsletter detailing all you need to know about the tech and cyber news from Capitol Hill to Silicon Valley. April 18, 2019 - Baidu Brings Multiple Connected Vehicle Solutions and Enterprise Applications with 14 partners to Auto Shanghai 2019 Associated PressPress release *content* from Globe Newswire. The AP news staff was not involved in its creation. April 11, 2019 - China's hi-tech war on its Muslim minority The GuardianThe long read: Smartphones and the internet gave the Uighurs a sense of their own identity – but now the Chinese state is using technology to strip them of it. April 18, 2019 - An Orwellian nightmare or a fix for China's trust deficit? The Australian Financial ReviewChina's proposed social credit system will rate every person in the nation - determining if they are punished or rewarded for their behaviour. April 18, 2019 - Serve integrates fingerprint biometrics to secure sensitive deliveries Biometric UpdateServe has integrated its fingerprint recognition technology with its blockchain-based platform for supply chain management and proof of delivery.